TBWA Australia plans to execute more media planning, strategy and buying in-house as clients seek to simplify their arrangements and full-service offerings rise in popularity. Speaking to AdNews for our February issue on the Changing Nature of the Agency Model, TBWA CEO Paul Bradbury revealed the reintegration of media is a key objective for the Omnicom-owned agency this year with a full-service client to be announced out of its Melbourne office in coming weeks. “Clients are looking for one agency relationship in order to help them navigate what is a tricky and complex landscape," Bradbury said. "I don't know a client who would want to have six or seven different relationships and have to take responsibility for coordinating them all. That in itself is a huge job. The challenge for TBWA will be moving into media without cannibalising Omnicom’s existing media agencies, such as PHD and OMD. It’s a bold move from the creative agency that could ruffle the feathers of its media stable mates. 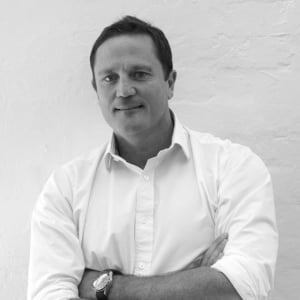 AdNews knows of instances of terse exchanges within some holding companies when a creative agency has moved in on the media agency’s turf. In some cases local tiffs have been escalated to the global CEO, with some going on to rule in the creative agency’s favour. In some cases clients have also been drawn into inter-agency rows over who takes the media, causing client grief. The other complication within the Omnicom group is that historically creative agencies agreed they would not go after media business, back in the day when DDB Media’s clients were siphoned out to create OMD. Like the media reforms laws, this agreement was made in another era and globally is being challenged within Omnicom. Bradbury is conscious of cannibalisation and said TBWA’s media offering is on a client-by-client basis. It won’t be pushed upon their clients and he doesn’t see Omnicom enforcing a Publicis-style Power of One or WPP horizontal model in the foreseeable future. “It’s not a radical start again for us. We're very comfortable being a very good creative agency that produces really strong brand strategy and produces really strong integrated advertising campaigns,” Bradbury said. “We're not ashamed of saying that is what we're good at and we're quite happy to stay in our swim lane." Bradbury explained that it has no choice but to grow in different directions as clients are increasingly wanting more capabilities. “It’s not about launching a separate agency," he said. 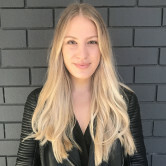 The reintegration of media and creative is one of the major topics in AdNews’ Changing Nature of the Agency model feature, with agencies like Thinkerbell and BCM finding success in building full-service offerings and providing different thinking around media buying. In recent years we’ve seen creative agencies hire media agency bosses and subsequently build a team from the ground up, or agencies, like M&C Saatchi and Bohemia, who have acquired media capabilities. Bradbury, who has been at the helm of TBWA for more than 10 years, said the agency wouldn’t acquire a media agency. Instead, it is looking to hire talent as well as leverage Omnicom’s data platform, Omni, that plugs into its creative agencies and can be used to execute media buying, planning and programmatic. “Omni is something Omnicom has been investing in over the last couple of years and you'll see that as a very big play for the group over the years to come,” he said. The move into media isn’t TBWA’s first foray outside traditional creative services. The agency launched its own PR business six years ago, Eleven, which has become a core part of its offering. More recently, in 2016, it built its own production unit called Bolt, which now accounts for 50% of all revenue that comes into the agency. It’s been so successful that other TBWA markets have looked to emulate the model. “We’ll continue to diversify our offering,” Bradbury said.